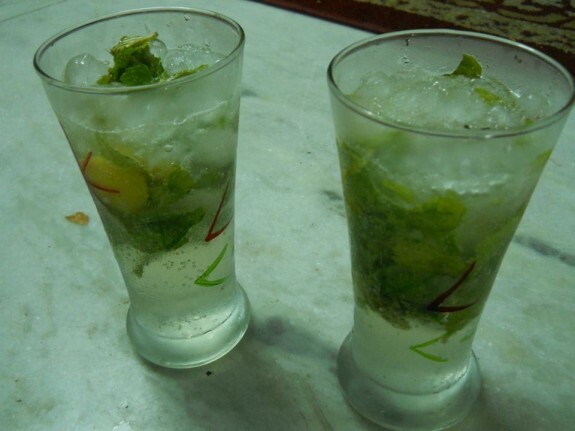 Virgin Mojito is a Mocktail with the combination of Lemon, Mint, crushed Ice and Soda water. Learn how to make this Mocktail within 5 mins. 1. In a big Jar or mug, add crushed mint leaves, lime juice, lemon slices and sugar. Mashed it with any spoon. 2. Now pour this into 2 long glasses. 3. Pour cold drinks (sprite, dew, 7 up etc.) or soda water and stir it with a spoon. 4. Add crushed ice on the glasses and serve it chilled.